I grew up as a runner in the mountains of North Georgia. In college I started cross training with P90x and lifting weights. I learned that I really loved working with weights and joined LA Fitness after college. This experience made me realize I wanted something more than the globo gym atmosphere. It was around that time that a coworker told me about CrossFit and invited me to her gym in Dahlonega. My first CrossFit workout included wallballs, box jumps, kettlebell swings, and jumping pull ups. It hurt so bad, I puked, and I was completed and totally hooked! 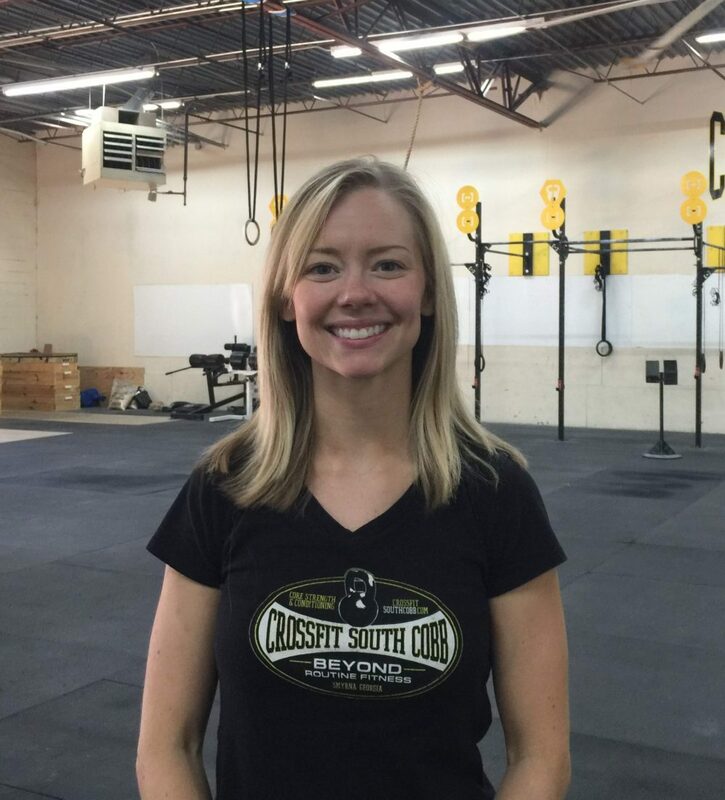 When my husband and I moved to the Smyrna in Spring of 2011 I made it my top priority to find a CrossFit gym that I loved. When I visited CrossFit South Cobb for the first time it was on accident! Miles helped me find the other gym I was looking for and was so friendly and informative. I knew I had to bring my husband with me to try out CFSC even if the other gym was a hit. CFSC was a perfect fit and we’ve been members ever since.